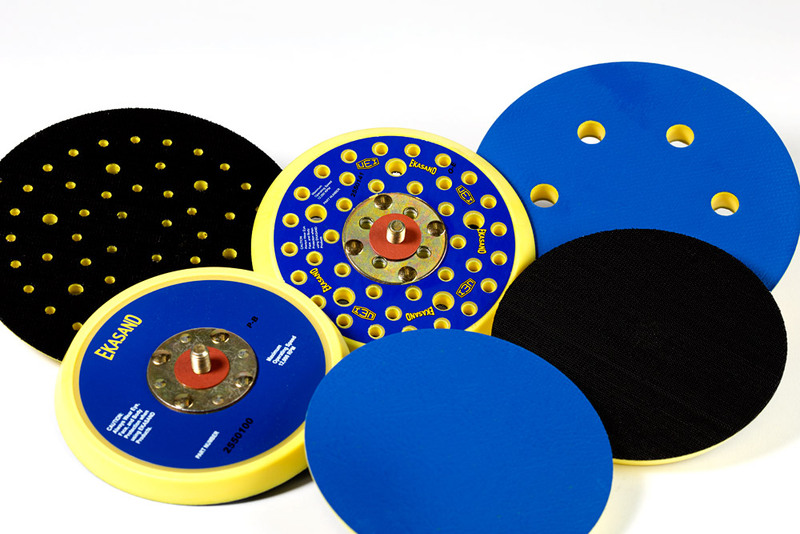 To perfect the surface sanding application you desire, Uneeda offers a multi-faceted line of back up pads to fit our EKASAND sanders. 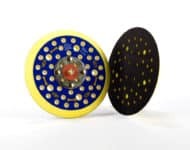 All pads are available in both PSA (sticky-back) & Uneevel (hook & loop) backings with your choice of no holes, vented holes or multi-holes configuration. 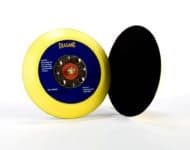 You can choose from a tapered option for extra flexibility and sanding contoured profiles or a low profile option which is best suited for sanding flat surfaces.